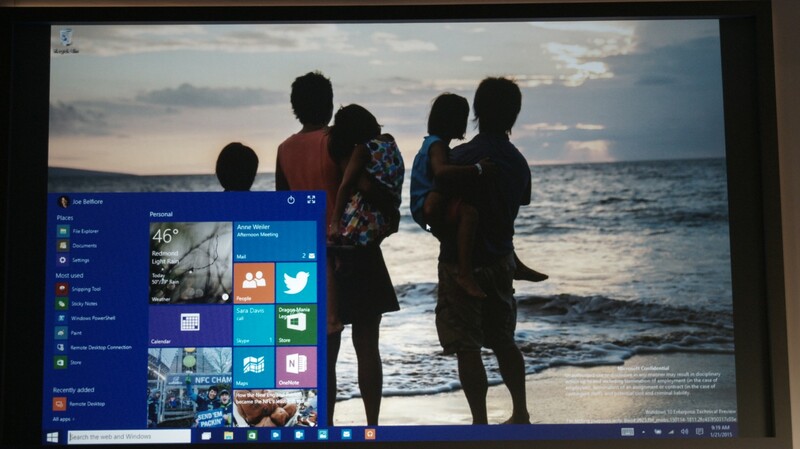 Microsoft showed off Windows 10’s new Start screen at its event today. Above, the new mini mode is pictured. 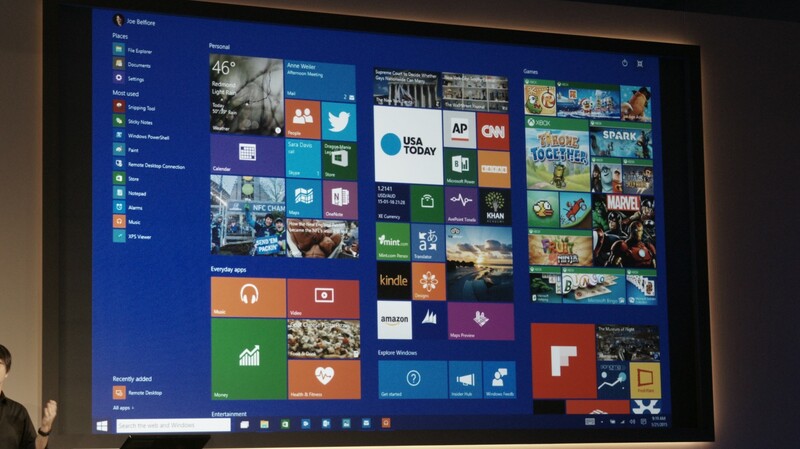 The new start menu allows users to customize the tiles and is also slightly transparent. 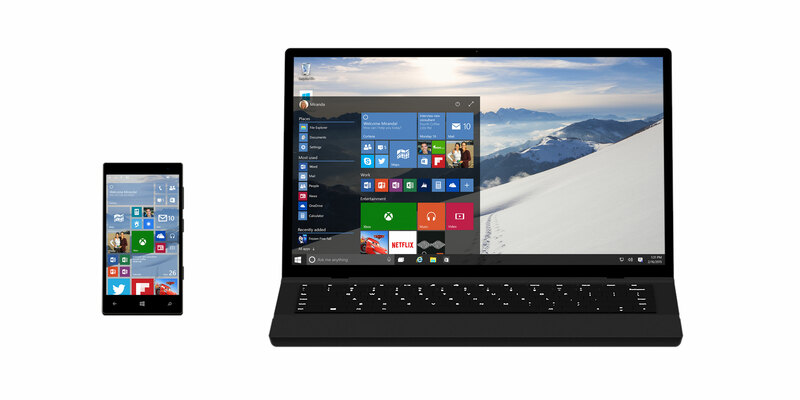 Below, you can see Microsoft’s new “expanded” mode for tablet devices. Devices can automatically transition between modes depending on if the user is using a mouse and keyboard, or a touch screen. 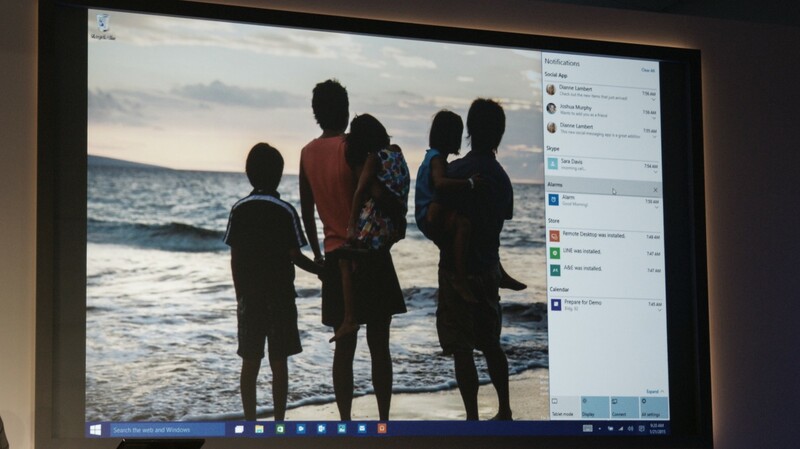 The company also showed off the new Windows 10 desktop notification center.